Immigrants provide a significant amount of agricultural labor in the United States and often live and work in exploitative conditions and substandard housing. Farmworkers are willing to accept poor quality or crowded housing provided by their employer because it is difficult to find alternate housing options due to fear, lack of housing availability, severe financial constraints, language barriers, and lack of transportation. 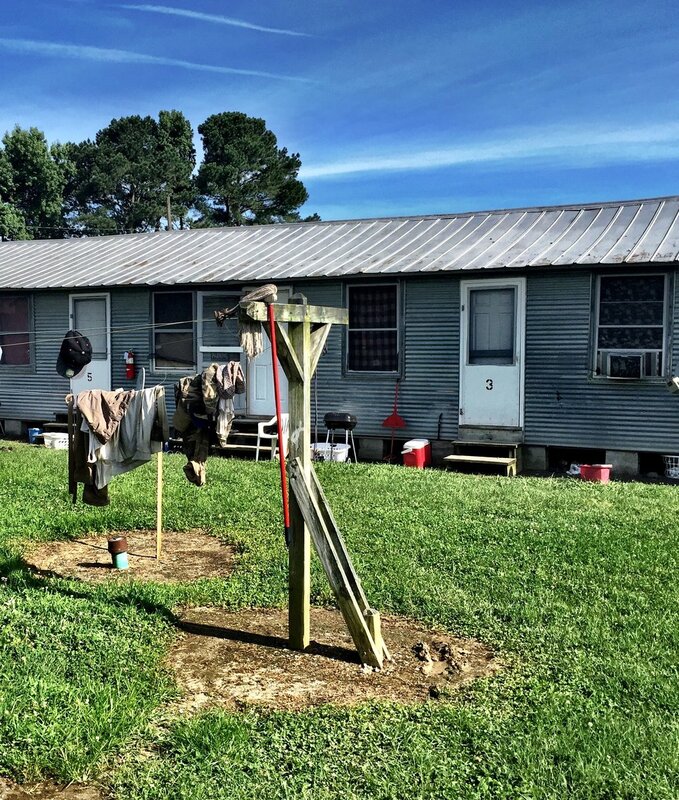 Farmworkers can sometimes pay exorbitant rents for dilapidated apartments, motel rooms, trailers, mobile homes, barns or sheds and, frequently, basic necessities like adequate sanitation, safe water and electricity are lacking. Inadequate housing affects farmworker physical and mental health due to exposure to chemicals like pesticides, biological agents like infectious diseases, physical hazards like live wires, and mental and psychological stressors like fear and social isolation. Provisions of the Occupational Health and Safety Act (OSHA) require employers to meet sanitation standards and labor camp housing standards as well as offer workers access to safety equipment. However, appropriations riders prohibit federal health and safety inspections at small farms (less than 11 farmworkers) and exempt those same farms from OSHA’s worker protection provisions. 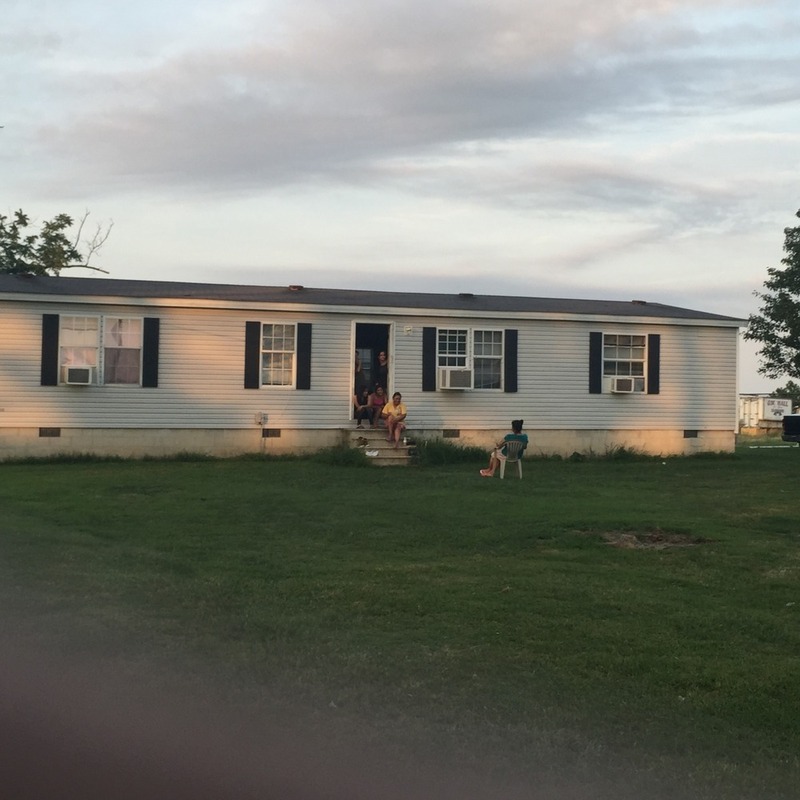 This summer, we accompanied farmworker outreach workers and encountered farmworkers living just minutes apart in Dorchester County, Maryland who lived in vastly different conditions. Francisco, a 50 year old man from Zacatecas, Mexico, lived in a run-down trailer with his diabetic wife Marina. He told us that he typically earned less than $11,000 dollars a year from farmwork yet he paid $80 a week in rent to his employer (approximately 38% of his income) and what he considered a large portion of his pay for what he considered mugre (dirt). Francisco and Marina invited us into the trailer by way of their waterlogged deck. Marina told us that she wanted the Lord to take her away from this misery as she timidly showed us her abdomen which was covered in sores. Some had healed over and turned purple but others were red and raised. She told me that she required insulin for Type I diabetes but the injection sites didn’t heal properly and eventually became infected. She added that she tried to keep her house clean but the trailer was falling apart. Blankets covered all of the broken furniture. The rectangular trailer had a bathroom on either side of the structure, two small rooms, a small kitchen with shelves and a larger living room area. The first bathroom could not be used because the floor was collapsing and the linoleum was warped. Francisco told me that the floor rotted out around six months ago. He had called his employer several times but he refused to fix the damage. Francisco showed us the usable bathroom which reeked of sewage. 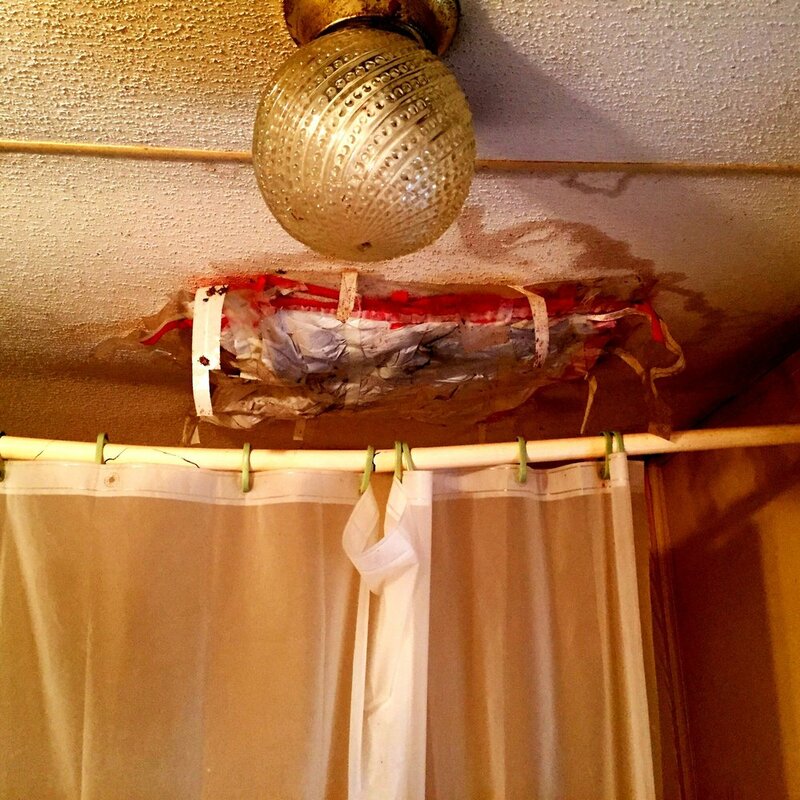 The outreach workers told us that they had reported these deplorable conditions to the Dorchester County Health Department before but no one followed up. They told us that very little could be done to remedy Francisco and Marina’s plight because their employer was a lawmaker with a lot of clout in the Eastern Shore. We drove a few minutes away to Carla and Paco’s house and were greeted by a petite, fair-skinned Mexican woman with frizzy red hair. Carla smiled broadly at each of us and gave us all a warm hug. She quickly asked us inside her small home. The house was immaculate. The hardwood floors had been recently washed and waxed, her living room had a brown couch and loveseat, the pillows smelled of laundry detergent, and many framed pictures of family hung on the walls. Her friend sat in the living room and watched Univision on the flat screen TV while we went into the kitchen to chat. 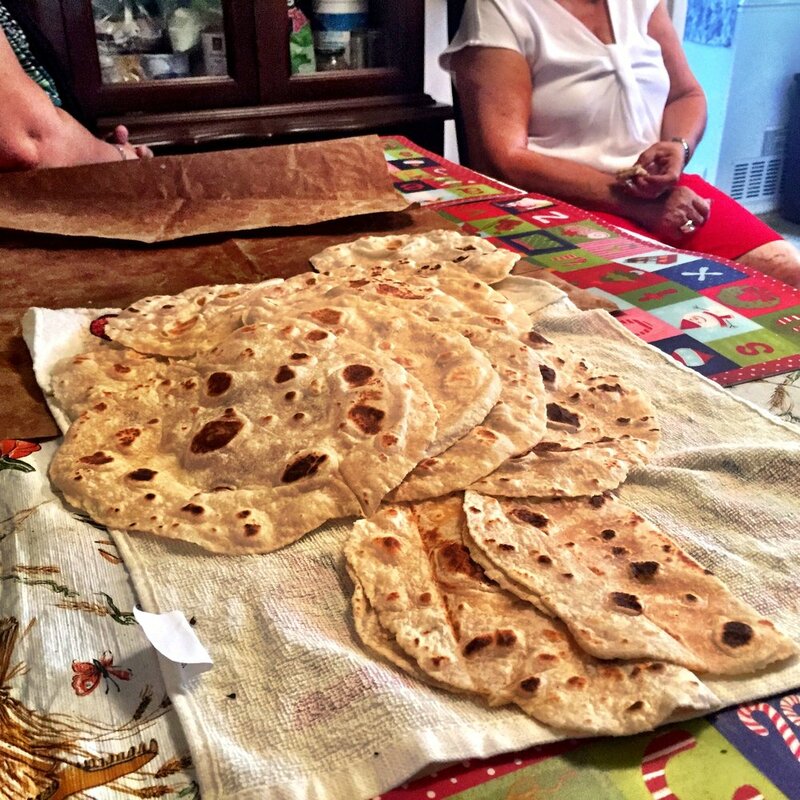 We sat down at the kitchen table while Carla began to knead dough into dozens of round balls. She was making flour tortillas for the week. Catfish and root vegetables cooked quietly in a pressure cooker. Carla had Type II diabetes but was careful to control her diet and exercise when she could. Carla worked half days while her husband worked as a manager of the farm, helping the young men harvest different types of vegetables. Paco worked from April through October and then, with Carla, returned to Zacatecas, Mexico until the next harvest season. She told us she loved her employer because the company was generous with the pay, overtime and free housing. She told me that many years ago, she used to babysit the children of her employer. She has remained close to the family and was even invited to the weddings of the now adult children. Marina’s housing conditions have made her susceptible to declines in mental and physical health, respiratory conditions in particular, as well as other hazards which increase illness. Carla’s housing has permitted her family to flourish economically, physically and emotionally. 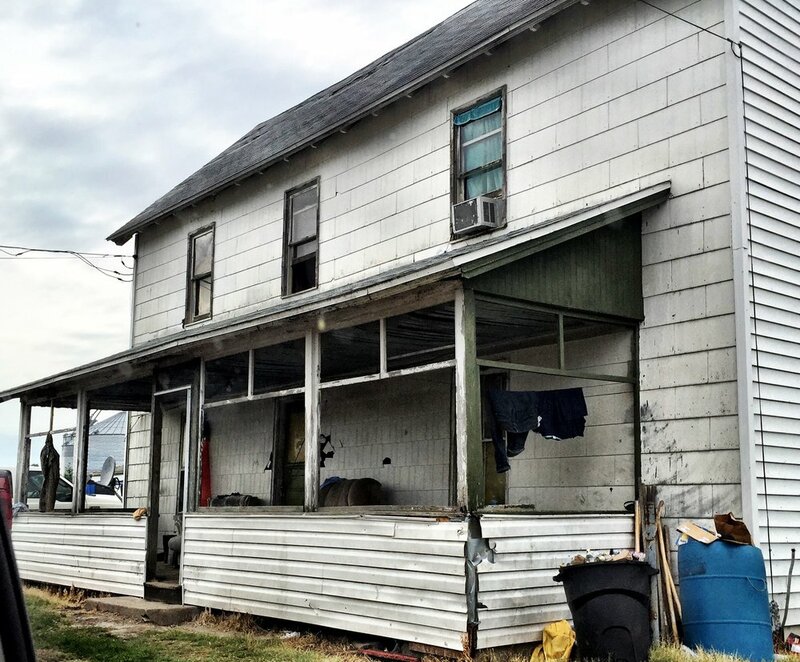 The quality and conditions of housing vary from farm to farm because the Maryland Department of Labor relies on employer adherence to federal and state safety and health standards, and there is little oversight unless there is a major complaint or a random inspection. This summer, while conducting research on Maryland’s Eastern Shore, we encountered new groups of migrants who came directly from Venezuela to work in the tomato fields and packing plants. According to local providers, many of whom have over 20 years of experience serving the area, migration to the Eastern Shore from Venezuela is a relatively new phenomenon. The appearance of Venezuelan migrants on the Eastern Shore coincides with a surge in Venezuela’s ongoing economic and political crisis. While the Venezuelan government has made efforts to stabilize the inflation depreciation spiral by introducing austerity measures to control the prices of goods, inflation has risen to astonishing levels – estimated to be 480% in 2016 and potentially up to 1,600% in 2017. 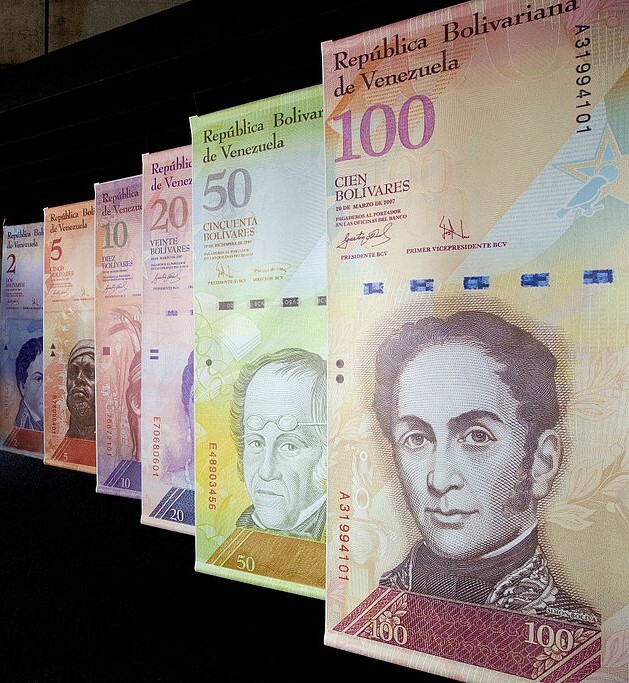 Rising inflation has created a three-tiered exchange rate producing a situation where people are converting the Venezuelan Bolívar fuerte into U.S. dollars to ride out the next wave of devaluation. The scarcity of U.S. dollars in Venezuela has created a demand that continues to fuel the bottom rung of the black market exchange. Understandably, many Venezuelans are anxious regarding their current circumstances, and are distrustful of the polarized language coming from both the current government’s attempts to blame intentional economic sabotage and the elitist opposition coalition’s rallying cry of governmental mismanagement. The uncertainty surrounding their economic prospects has forced many Venezuelans to find alternative ways to purchase food and goods and to acquire dollars to survive the volatile market. Bolívar fuerte at a UNASUR meeting in Caracas, Venezuela. Photo courtesy wikicommons and Cancillería del Ecuador. Yenni, a retired bank clerk from Oriente, Venezuela, resides at one of the migrant labor camps with her cousin. We met Yenni in her room at the migrant camp’s housing development. Her room was sparse, the size of a small dorm, just big enough for two twin beds, a refrigerator, a small table and a hot plate. A large fan occupied the middle of the room and clothing was folded neatly on the shelves above the bed. Yenni’s meticulously shaped eyebrows, silk shirt, and dark pink nail polish contrasted the bare room. In Venezuela, Yenni acquired goods and services through bartering, using familial networks in other cities, or waiting in line for reasonably priced items at government-run food distribution centers. She had recently retired from an accounting job when the financial crisis hit. Her precious savings were soon used up and, with the mounting inflation, her monthly pension was worthless. Yenni was told by a relative that she could find work in Miami hotels so she and her cousin applied for tourist visas and purchased their plane tickets. In Miami, they stayed with friends of friends and went out every day in search of work. Unfortunately, no one was willing to hire them but they heard that farmwork was available west of Miami. She told us that at that point, they were willing to go just about anywhere to find work. The migrant camp where Yenni and her cousin live. Photo courtesy Emilia M Guevara. Yenni and her cousin boarded a bus to Immokalee, Florida and became part of the East Coast migrant stream, eventually making their way to Maryland’s Eastern Shore. For Yenni and her cousin, all that mattered was receiving a weekly paycheck that allowed them to save U.S. dollars to bring back to Venezuela. Yenni’s work involved picking bruised and rotten tomatoes from a fast moving conveyor belt. She told me that it reminded her of the I Love Lucy episode where Lucy and Ethel were in the chocolate factory – except there were no chocolates and it wasn’t funny. While they were given stools and didn’t have to stand for 14 hours at a time, there was no air conditioning and little ventilation. The only thing that kept them cool was their own sweat and a couple of lukewarm bottles of water that they brought from the camp. She noticed that the managers had access to nice, cold water from a large watercooler inside the office but they never offered any to the workers. Maryland ranks as the wealthiest state in the country, yet the Eastern Shore of Maryland has some of the highest poverty rates, poorest health status, and the greatest need for health care access in the state. Somerset County, nestled between the Chesapeake Bay and the Atlantic Ocean, is the southernmost county in Maryland. It is also the poorest county in Maryland, with a per capita income of $16,748 and 23.4% of the population living below the poverty line. Somerset County residents have some of the poorest health status indicators and the greatest challenges in health care access. Somerset has a higher rate of diabetes, cancer and heart disease than the rest of the state and ranks in the bottom quartile for life expectancy, obesity, hypertension, high cholesterol, smoking, diabetes, asthma, and anxiety disorder prevalence. With a population of 26,371, Somerset County has only one hospital and is last in affordability of health care while simultaneously having the largest percentage of the population living in poverty. The county is a Medically Underserved Area (MUA), with a ratio of 1 primary care physician for every 2,452 residents, 1 dentist for every 906 residents, and 1 mental health provider for every 621 residents. 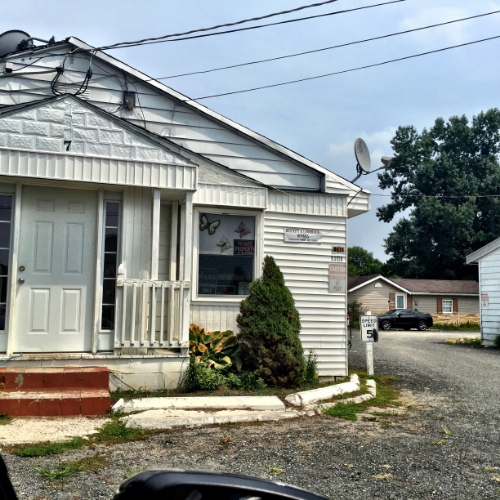 The impact of rapid immigration can be particularly severe on isolated, struggling rural health systems like those of Somerset County, already strained with a shortage of providers, high rates of uninsured patients, and limited public resources. Recently arrived immigrants face many barriers to health care access in these rural communities due to lack of insurance, high cost of health services, language barriers, and immigration status. There has been a 65% increase in the immigrant population in the Eastern Shore from 2000 to 2013. Immigrants from Latin America and Haiti, who are attracted to the area’s employment opportunities in seafood, livestock, and agricultural industries, have settled in this region. We spent time in Somerset County this summer with the local immigrant community and providers who work with these populations. The providers noted that Somerset County has an immense need for basic healthcare facilities (i.e. private and public healthcare services, hospitals, and emergency transport services) and trained healthcare professionals. According to local providers, there are few practicing doctors and they circulate between the clinics and hospitals. In addition, accessible and affordable dental care is nonexistent. One provider told us that people who needed emergency dental care had to be sent to Johns Hopkins University Hospital in Baltimore, Maryland. Accessing healthcare is particularly difficult for immigrants living and working in Somerset County. Community-based organizations and a handful of dedicated providers and volunteers form a fragile social safety net to assist local immigrants. TLCCS, the only Federally Qualified Health Center (FQHC) and safety net clinic found in the three lower counties, provides the bulk of health services that are accessible to migrants and immigrants on a sliding scale payment, based on the patient’s ability to pay. The health department provides some immunizations; limited reproductive health care services; and cancer, hypertension, and diabetes screenings. Another well-known community-based organization assists residents in accessing supplemental food programs; emergency financial assistance for rent, utilities, and prescription medication; mental health counseling; and immigration services. The poultry industry in the United States is the world’s largest producer of poultry meat. Our consumption of poultry meat is considerably higher than beef or pork. The Delmarva Peninsula, an area 200 miles long that includes part of Delaware and the 11 Eastern Shore counties of Maryland and Virginia, is the fifth largest poultry production area in the United States. It is widely known as the origin of the commercial broiler industry, the process by which broiler chickens are reared and prepared for meat. 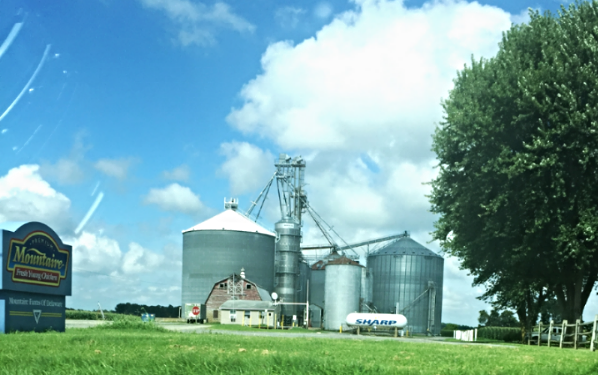 Today, Delmarva’s broiler industry consists of five major poultry plants (Tyson Foods, Perdue Farms, Mountaire Farms, Amick Farms and Allen Harim Foods), which together employ 21,000 workers, and consist of 2,800 contract growers, 10 feed mills, and 15 hatcheries. Commercial Meat Poultry House. Photo courtesy wikicommons and USDA. Poultry production today occurs primarily in enclosed buildings to protect birds from the weather, predators, and disease. This has allowed farmers to greatly increase production efficiency while significantly reducing the amount of labor required. It has also resulted in environmental challenges with production of larger volumes of manure in much smaller areas. In recent years, the poultry industry has been widely scrutinized by various consumer protection and animal rights groups for questionable food safety practices and animal cruelty. For instance, in the last week, environmental groups in Delaware, Maryland, and Virginia have called for a moratorium on the building of chicken houses on the Delmarva Peninsula because the phosphorus from poultry manure is thought to reduce water quality and impact surrounding land and water systems. Topics related to food safety and animal welfare have received far more attention than the safety and health hazards experienced by poultry industry workers. Although most of poultry processing is mechanized, companies rely on workers to correctly position chickens for the machines to be accurate. The most difficult work is done by the live hangers who remove live birds from shipping crates and suspend them from hooks at a rate of 25 per minute, all while the chickens scratch, peck and defecate on the workers. Assembly line workers must keep a pace where they use sharp shears, knives and their own hands to eviscerate chickens and take the innards out. Delicate work like deboning continues to be done by hand, resulting in injuries to workers’ hands and arms. Such harsh working conditions and low wages drive a very high turnover among poultry industry workers. Today, immigrant workers constitute a significant proportion of the worker population on poultry farms and in poultry slaughter and processing facilities throughout the United States. In Delmarva, it became more difficult to recruit and retain local African American workers who once provided the key labor supply for chicken processing due to harsh working conditions and continuing low wages. Immigrants and asylum seekers from Mexico and Latin America (primarily from Guatemala) filled this gap beginning in the 1990s. Many of these laborers were former agricultural workers who left the migrant stream. More recently, the area has seen an influx of Haitians granted Temporary Protected Status (TPS) (who have joined the labor pool. We have been conducting ethnographic research with Haitian immigrants living and working on Maryland’s Eastern Shore since August 2014. Many of these individuals currently work in the poultry industry, were former workers, or have family or friends who work in the industry. Our work has revealed that once workers become sick, disabled (usually at work) or elderly, their hours are reduced or they are fired. An older yet physically able Haitian man described how he first had his hours reduced and then had been fired as he got older. Now to support his family, he works as a seasonal tomato picker in a local tomato plant hauling many bushels of tomatoes a day. Finally, long hours also prevent immigrants working in the plant from accessing resources including English language and vocational training. This summer’s research was focused on Mexican women crab pickers living and working on Hooper’s Island, a chain of three islands located on Maryland’s Eastern Shore. 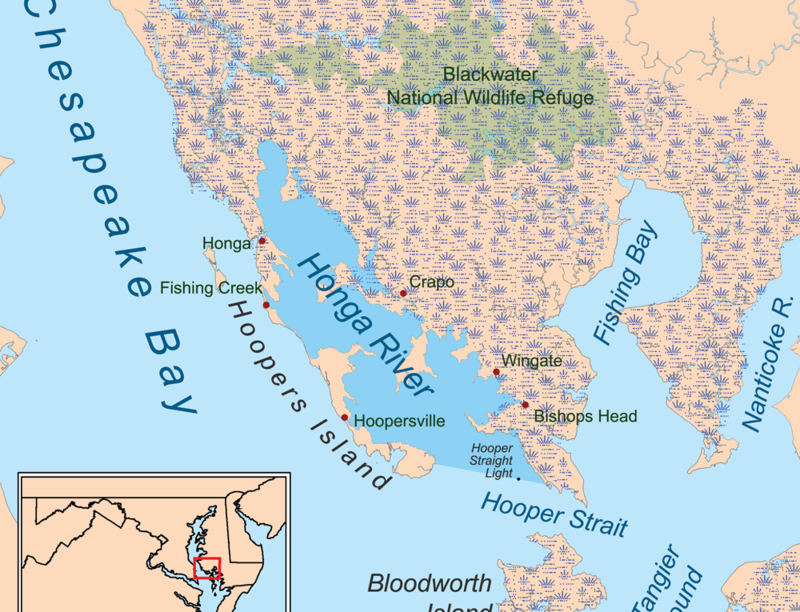 Hooper’s Island is located between the Honga River and Chesapeake Bay, 20 miles south of Cambridge in Dorchester County, Maryland. Hooper’s Island was permanently settled by European colonists in the mid-17th century and issued the earliest land grants in Dorchester County. The island is known for its proximity to the Blackwater Wildlife Refuge, working watermen villages, and the Hooper Island Lighthouse, one of only a few lighthouses constructed on the Eastern Shore in the early 20th century. This remote and sparsely populated (pop. 441) set of islands is home to Maryland’s touristic, economic, and culturally significant oyster and crab industries (See Figure 1). Figure1 : Eastern Shore Honga River Map. Image courtesy Kmusser and Wikicommons. 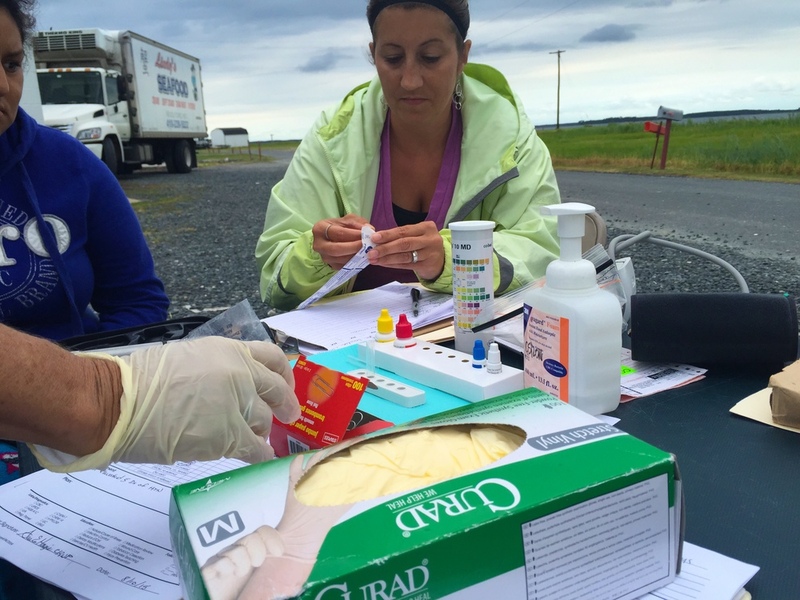 We accompanied a local mobile clinic that provides outreach and primary care services to migrant camps and crab houses in various counties on the Eastern Shore. 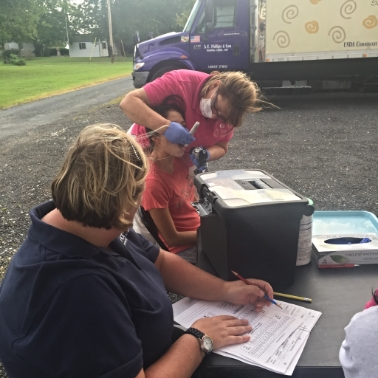 The mobile clinic is part of a network of federally-qualified health centers found throughout the upper counties of the Eastern Shore (Caroline, Dorchester, and Talbot counties) that provide medical, dental, and health education to local residents, including migrant and low-income individuals. 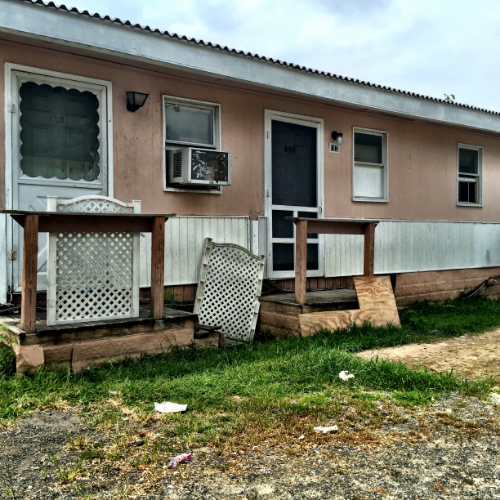 Migrants are asked to pay an annual fee of $15 for all services and, during the summer months, receive follow-up care visits and prescriptions delivered to them on Hooper’s Island. Each mobile clinic consisted of a medical assistant, one or two Spanish interpreters, and a nurse practitioner. 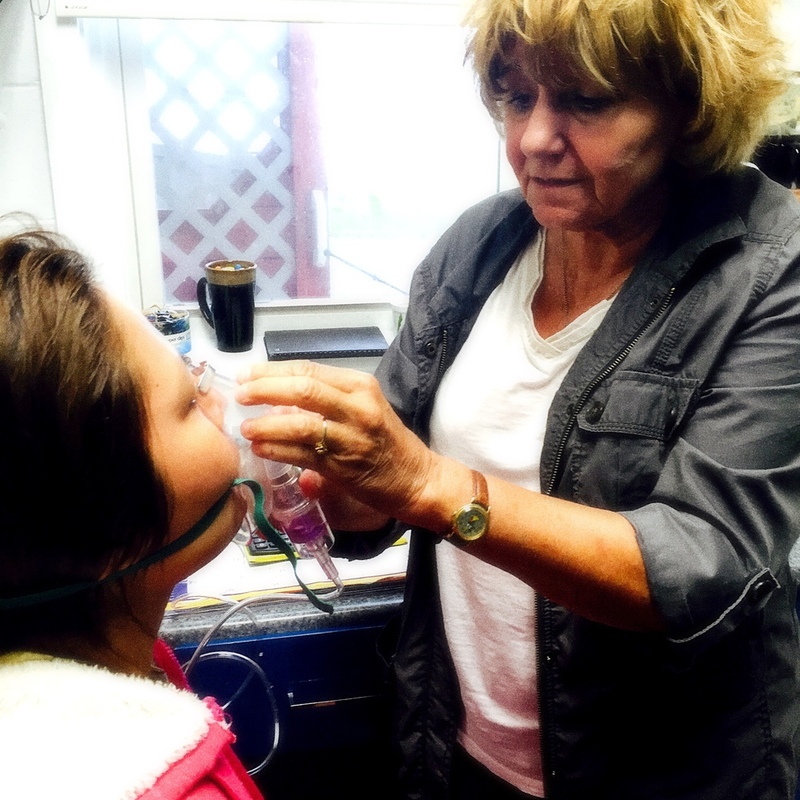 The clinic staff scheduled several visits to each crab house on a weekly basis to administer basic triage and deliver prescription medications to workers. Mobile Dental and Medical Clinic, Hooper’s Island. The vast majority of the migrants who work for the crab companies are Mexican women, recruited in Mexico that enter the United States through the H-2B visa program. The H-2B visa permits U.S. employers to recruit foreign workers in non-agricultural work after they provide sufficient evidence that they are unable to find enough domestic workers for these specific jobs. The women then make a multi-day trip by bus to the Eastern Shore and are assigned housing once they arrive. The women reside full-time on Hooper’ Island from April to November and work for the crab companies while living in shared residences that are rented to them by the employers for approximately $45 a week. As we discovered last summer while exploring the rural landscape of Hooper’s Island, it is fairly isolated. The women we interviewed spoke about enduring the psychological and physical isolation away from loved ones, sharing small bedrooms with three or more people, and being placed in uncomfortable housing arrangements with as many as 20 women. Seafood Worker Housing, Hooper’s Island. In one four-bedroom house we visited, 16 women shared one bathroom and had to bathe in shifts. They complained of chinches, or bed bugs, biting them at all hours of the night. A young woman told me that she would try to sleep during the day when the bedbugs were less active. Nonetheless, the women had to deal with the arrangements in order to make the much needed money to support their families in Mexico. The lack of available public transportation discourages the women from leaving the island and even their homes. Many migrant houses are a 20 minute drive away from the nearest store or restaurant. The summertime heat also prevents the women from walking this distance. During the rainy season, high tides and storms flood roads and close bridges. The women were solely reliant on their employers and acquaintances for transportation to buy food, medication, and supplies. Each seafood company sets its own work schedule but the women typically begin as early as 2:00AM each day, working five 8-hour shifts a week. The pay is minimum wage or piece rate of approximately $2.00 per pound, whichever is greater. Overtime is heavily dependent on the weekly catch and labor needed to fill quotas and orders from wholesalers. Women usually purchase their own tools and gloves from the employer and sit or stand at long stainless steel tables, piled high with cooled, cooked crab. They work methodically and very quickly, breaking off legs, removing innards, and separating backfin from jumbo lump meat. The work continues for eight hours with the women taking staggered breaks until all crabs are picked clean. Crab Pickers at Work, Hooper’s Island. Freshly Steamed Crab Ready to be Processed. While assessing the medical needs of the crab pickers, we discovered a number of occupational hazards that were faced by the women. 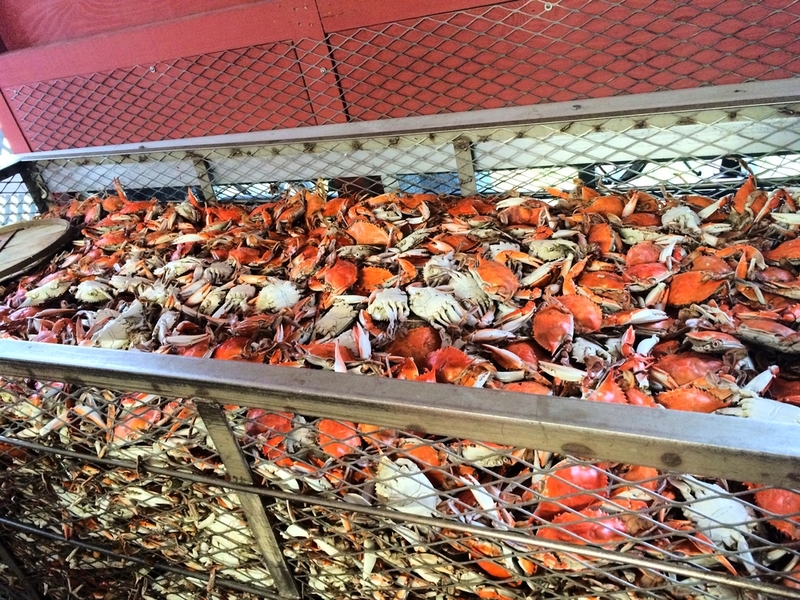 The crabs were dipped in a chlorine wash in industrial-sized steamers. Wearing gloves and masks helped protect them from the chemical to a degree but not all the companies provided these items without charging the women. In addition, the gloves prevented women from working quickly enough to make their allotted quota of 24 pounds per day. Common symptoms for which the women sought medical care included skin rashes, fungus between fingers and toes, sore throats, widespread itchiness, and respiratory ailments like asthma. We were also told that Vitamin D deficiency was a noticeable issue for many of the women. This may be due to long hours of indoor work or sleep during daytime hours. The major cause of vitamin D deficiency in humans is the lack of sun exposure. Although you can get vitamin D from food, these are often inadequate to satisfy the needs of your body. Vitamin D deficiency causes rickets in children and can lead to osteoporosis and fractures in adults. Vitamin D deficiency has also been associated with increased risk of cancer, autoimmune diseases, hypertension, and infectious diseases. On September 18-19, 2014, I participated in a conference co-hosted by the Center for the History of the New America and the Center for Health Equity at the University of Maryland exploring the connections between migration, race, disease, and public health. Dr. David Satcher, 16th Surgeon General of the United States, gave the keynote address. Health Across Borders: Migration, Disease, Medicine, and Public Health in a Global Age brought together leading scholars, practitioners, public officials, labor leaders, and immigrants to explore public health in the age of mass migration, and to address the economics of migration, patterns of prejudice in medical practices, and access to health insurance. Please check out my entry on “HIV/AIDS” for the Oxford Bibliographies in Anthropology here. Published by Oxford University Press and edited by John L. Jackson, Jr., Oxford Bibliographies are research guides on specific topics. What is now known as Westover labor camp located on Route 13 south of Princess Anne in Somerset County was originally Camp Somerset, a Civilian Conservation Corp camp that was built in 1935. When it was first built, it housed 270 men in about 17 buildings including a kitchen, a mess hall, a recreation hall, officers quarters, pumping station, and a bath. The men who lived in the camp cleared tax ditches and worked on drainage projects in the area. During World War II, the camp was converted into army post headquarters for the nearby Berlin, Chincoteague, and Oyster areas to guard US shoreline. At the height of the war, the camp housed close to 1000 men with the addition of more buildings. In 1944, all residents of Camp Somerset were relocated to Camp Pemberton, VA. The empty camp was used to house over 1000 German Prisoners of War (POWs) and hundreds of US army guards. The prisoners were contracted out to canning houses, sawmills, meat packing plants and farms throughout Somerset County. The POWs were held at Camp Somerset until mid-1946 and were than sent to England to be returned to Germany. Westover Labor Camp located in Somerset County south of Princess Anne Maryland, is one of the largest of the migrant camps in operation on the East Coast…. Westover is a sprawling complex of two dozen barracks-type buildings, separated by stretches of grass and dirt roads. Families live in single-room units without running water. Most units have refrigerators and small gas plates for cooking; sometimes doors, sometimes not. The single window is sometimes screened, sometimes not. Latrines offer stools without stalls, gang showers with no privacy, grime-crusted lavatories. 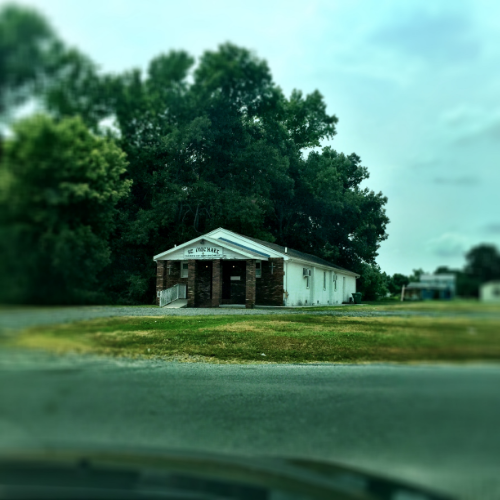 Just as prisons, Ghettos, and sin strips have their own notoriety, the complex of long, gray weather-beaten buildings along the highway … has achieved a special renown. Past the cree where people fill their jugs with drinking water, up the dusty road past the signs that warn visitors away, around the ditches filled with stagnant water and the gaping bins of garbage, this is the Westover farm labor camp. The Westover camp, once a World War II holding pen for German prisoners, has acquired such notoriety that migrants from as far away as Texas refuse to stay there. It is the biggest and most infamous among dozens of rundown caps amid the fecund vegetable fields on the Eastern Shore of Maryland, Delaware, and Virginia. Maryland’s Commission on Migratory and Seasonal Farm Labor is so exercised about Westover that it wants Governor Harry Hughes to close the place. Our visit coincided with the last bus pick-up for tomato packers. As we pass through the main pavilion at the outskirts of the camp into the living quarters, a woman and her husband were cleaning the common bathrooms for that living section, presumably after the morning rush. The bathroom is one long building, much like the living quarters, with one side for men and the other for women. After a row of several toilet stalls (all with doors), there are rows of single showers (with clean shower curtains). Across from these rows are several sinks. At the end of the unit, we find large sinks, presumably for washing clothes. To my absolute surprise as that of the outreach worker, we see two brand new state-of-the-art tankless water heaters. The couple remarked that it was just installed and that it worked really well. Old laminated health department posters lined the walls. Old sign of the packing plant. Now owned by Lipman. We headed through the middle of the camp grounds, where we saw another building that was spotless. It was the kitchen and dining area. The smell of baking and cooking still lingered. We also saw the washing station in another building. Emilia was able to interview an older man who had been migrating to Westover from Imokalee, Florida for over a decade, while I interviewed a Haitian man who had been making the same journey from Florida over several years. Emilia Guevara, a new PhD student in the Anthropology Department at the University of Maryland, began her work with me on this project in late July. We made several trips to the Eastern Shore to conduct fieldwork, including interviews with providers and community members. Despite the large number of migrants and immigrants who live here, there are only a handful of providers that focus on this population and their specific needs. We were fortunate to be able to work with providers who granted us access to some of their migrant and immigrant clients. On our first trip together, we met with a migrant family living in Mardela Springs. One of the many important things that we learned on this trip is that it’s really critical that we consider different generational perspectives of migrant/immigrant families. We also traveled to Hooper’s Island, a chain of three islands in Dorchester County, Maryland. There are reports of Mexican women housed on the island who work as crab pickers for Maryland’s renowned crab industry. A 2010 report from American University’s Washington College of Law serves as one of the few pieces of literature that focus on these women and the migrant workers that sustain this industry. We have yet to find anyone who currently works with this population or knows any of the women working in this remote area of Maryland.